His gesture remains engraved in the minds of people around the world, yet August Landmesser’s name is not widely known. He is the man in the iconic photograph which depicts a crowd performing a Nazi salute, while Landmesser defiantly stands with his hands crossed. 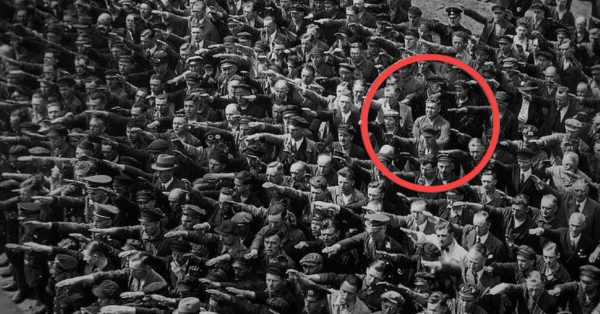 Even though the picture is globally known as a symbol for defiance, Landmesser did suffer consequences for his disobedience. The picture was taken on 13th of June, 1936, when Adolf Hitler attended the launch ceremony of the naval training vessel. The men in the photograph were all workers from the shipyard. August Landmesser became a Nazi Party member in 1931, two years before Hitler was appointed Chancellor of Germany. He wasn’t keen on the whole “racial purity” narrative, but he kept his head down, in order to get a job. In 1935, he fell in love with a Jewish woman, Irma Eckler, and they became engaged soon after. The couple was waiting for a child. This alone was enough for him to get expelled from the Nazi Party, but he didn’t mind. On October 29th, 1935 Landmesser’s and Eckler’s daughter, Ingrid, was born. 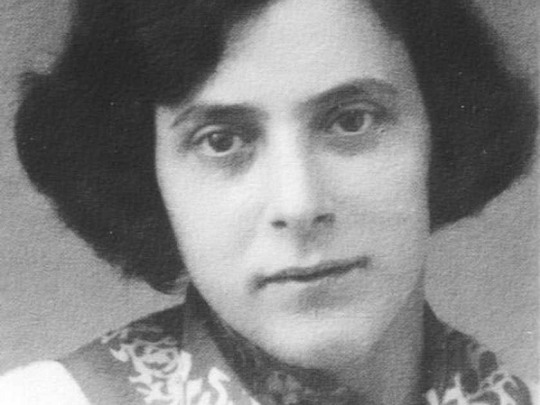 Raising a child with a Jewish woman, who wasn’t legally his wife (nor she could be), in Nazi Germany was hell, but what followed was far worse. After experiencing humiliation and fear for almost two years, Landmesser decided to flee Germany in 1937. Together with his family he tried to cross the border with Denmark but was apprehended. August Landmesser was accused of “dishonoring the race.” He was found guilty in July 1937 but managed to get acquitted due to lack of evidence. Irma Eckler was pregnant at the time, and the two refused to part, in spite of the law. This led to the promised consequences. 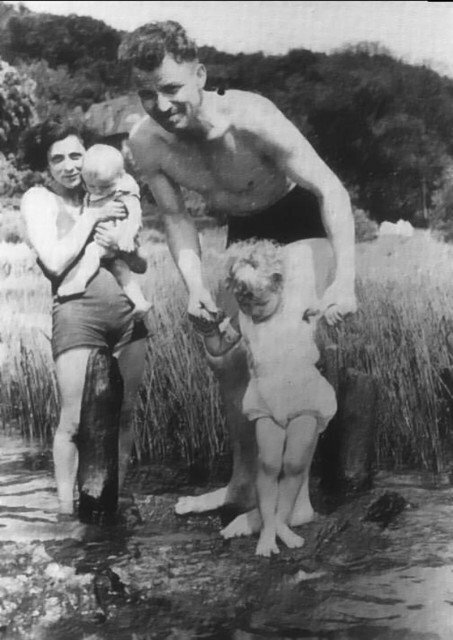 Eckler was arrested by the Gestapo and held at the prison Fuhlsbüttel, where she gave birth to a second daughter, Irene. From there she was sent to the Oranienburg concentration camp, the Lichtenburg concentration camp for women, and then the women’s concentration camp at Ravensbrück. There are several letters sent by Irma Eckler that verify her locations until 1942 when she was sent to Bernburg Euthanasia Center, where she suffered the fate of 14,000 other prisoners. In 1949 her death was confirmed through official documents. As for August Landmesser, he served his sentence in a regular prison. 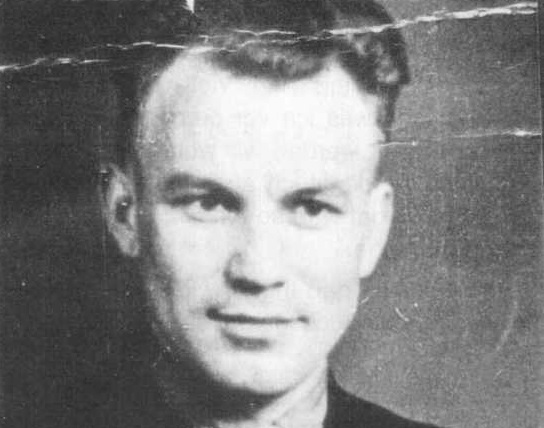 He was drafted into the Strafbattalion units in 1944. These were the penal battalions composed of convicts, criminals, political opponents, and the like. They were usually sent as cannon fodder, and the life expectancy in the penal units was extremely low. Officers and enlisted men in the Strafbattalions were stripped of all insignia and wore a red triangle that represented their position in the Army. Landmesser was pressed into service as part of the Infantry. He was first declared missing in action after being killed on 17th of October, 1944. Like Irma Eckler, his death was confirmed in 1949. Their children, Ingrid and Irene, survived the war. Love is stronger than any dictator. Not because it will stop the movement, in all probability it won’t. But there is NOTHING that will stop love from rebellion, even if all odds are against it. That’s what makes love the strongest, because it’s not rational. And the sole act of facing the giants is a win. It’s beyond sides. It’s beyond an agenda. It doesn’t care who is in power. The nature of love is rebellious. But that’s not why it will win. Love will win because it’s our natural state, it doesn’t care about winning, it’s just something we all unknowingly steer towards.